It is hard to believe that it is already that time of year to start thinking about what to get those close to us for Christmas and to start making Christmas gift guides. The Christmas decorations are up all around town, twinkle lights galore, and Santa Clause is starting to check his naughty or nice list. What better gift guide to start the holiday season off with than a Monogrammed gift guide, plus you have to get those monogrammed gift orders placed early to ensure they will be ready for Christmas. Down here in the South there is never such a thing as too many monogrammed possessions, the more the better! A monogrammed gift is a nice way to add a personal touch to a gift in a timeless fashion. 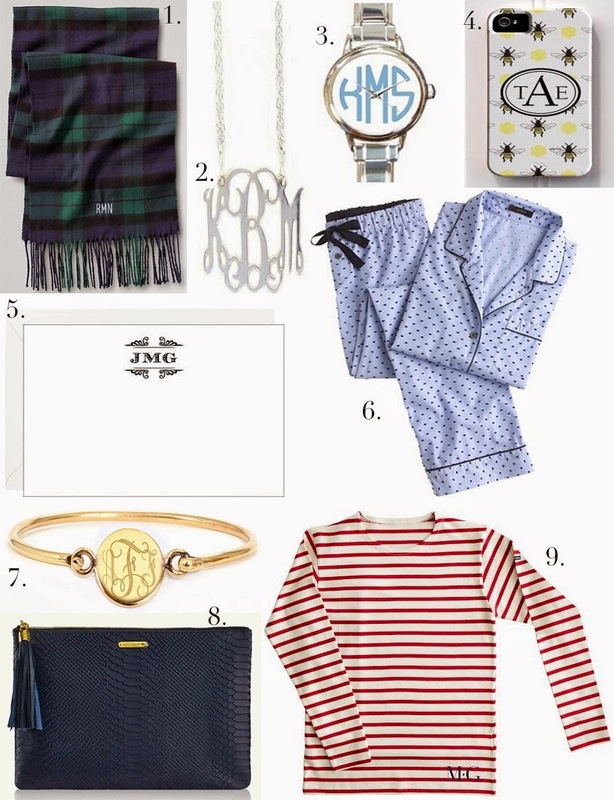 Here’s where to shop for my above Monogrammed Gift Guide. Click on the name of the item to be directed to the website. i looove that striped shirt! how cute! I think the striped shirt is really cute as well! I'm still dreaming of owning a monogrammed gigi bag! 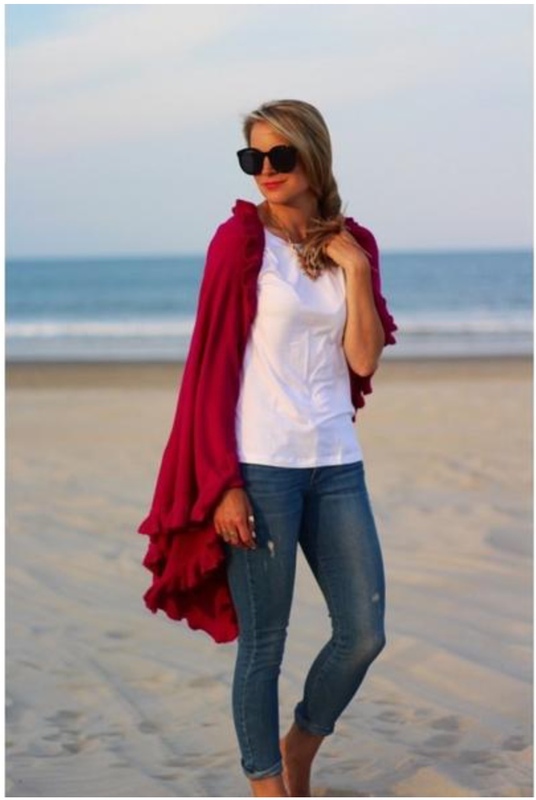 Awesome way to personalize gifts this Christmas Lauren! Those Gigi bags are pretty amazing!